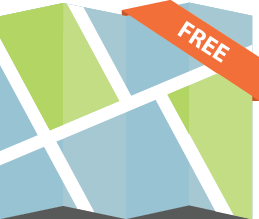 Integrate the power of “where” into your pages and posts with interactive maps exposing authoritative content through the Web Maps for WordPress (plugin). Powered by ArcGIS Online, this plugin is designed to bridge the gap between authoritative maps registered with ArcGIS Online and WordPress (the most widely used CMS on the market). The following outlines various features of the Add Map button.While editing pages or posts, you’ll notice the addition of an “Add Map” button next to “Add Media”. The Add Map button is designed to provide WordPress users with a more streamlined process for embedding web maps in their pages and posts. While very similar to the Add Media button, Add Map puts millions of interactive maps at the fingertips of bloggers, website creators, media outlets and news organizations. For the first time, millions of WordPress users will be able to seamlessly enhance the information they’re communicating with authoritative maps exposing authoritative content from authoritative sources. Search millions of interactive web maps using one or more keywords. All public web maps registered with ArcGIS Online that have a name or contain tags matching your keywords will be returned. Search results will be displayed in a gridview showing the name and image of the map. Maps provide additional details (owner, description, etc.) that will help to inform users on whether or not this map is showcasing the right content. A map details link will take you to the ArcGIS Online item details page where a variety of additional information about this map is available. Once a map has been selected, the user is presented with a variety of settings that can be configured before the map is embedded. Set your own custom map extents and create a map marker to display. Embedded maps are fully interactive, which means that users can zoom in/out and identify features on the map. All visible data and capabilities exposed on each map layer are controlled within ArcGIS Online by the map creator. For layers with pop-ups enabled, users can click on features to see additional information in a pop-up dialog. Additional map controls exposed to the user (scale bar, legend, etc.) are determined on the WordPress side by the map settings. For users that want a more robust experience for interacting with the map, they can click the “view larger map” link which will open the web map up in the ArcGIS Online map viewer. © GEO Jobe (1999-2019). All rights Reserved. Finely crafted by Proof Branding. Is your request urgent or time sensitive?